Housing allowances will stay for Cathay Pacific Airway’s pilots the South China Morning Post reported on Monday. 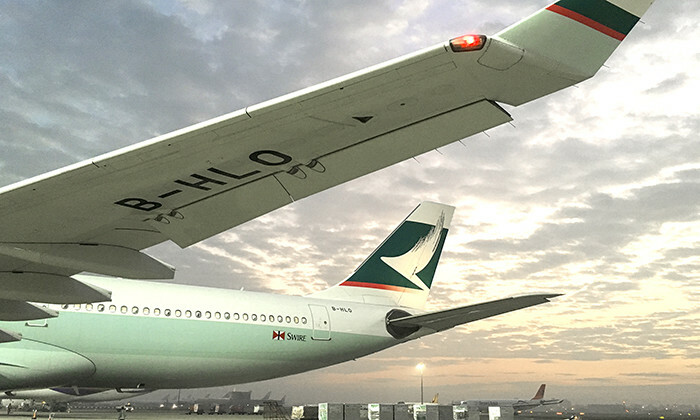 In November Cathay Pacific pilots threatened to strike if the company were to go ahead and cut compensation packages in its business restructuring. Cathay announced the reinstatement of housing benefits as union pilots on Friday began voting on industrial action. If passed, the motion would formally mandate the pilots’ union, the Hong Kong Aircrew Officers’ Association (HKAOA), to prepare for industrial action in any eventuality, should the company cut pay and perks without a union agreement. The statement added that the short-term measures which allow the company and the pilots union to reach agreement on a new scheme within the next 12 months. And the negotiation with the Hong Kong Aircrew Officers’ Association (HKAOA) is ongoing. The airline has struggled stay in the black and lost HK$2.05 billion in the first half of 2017, after a full-year loss of HK$575 million in 2016. Cathay announced earlier in the year that they would cut pilots housing perks to try cut back on costs. Housing for its pilots cost the airline HK$900 million annually. There are around 1000 eligible pilots that receive housing benefits. The carrier had intended to cut costs by HK$4 billion over next three years. These include job cuts of 600 staff members, 400 of which lost their jobs in June to the biggest job cut in 20 years while the remaining were expected to be cut by the end of the year. Only front-line crew like a pilots and cabin crew would be spared. On Monday the union welcomed the continuation of housing perks. “We’re glad the company decided to extend the housing assistance,” Chris Beebe, HKAOA general secretary, said to the South China Morning Post. Meanwhile, a 1% pay rise for 2018 was announced for flight attendants. Most of its staff will also receive a one month bonus. The union had asked for 3.5% but settled on a number considerably less.